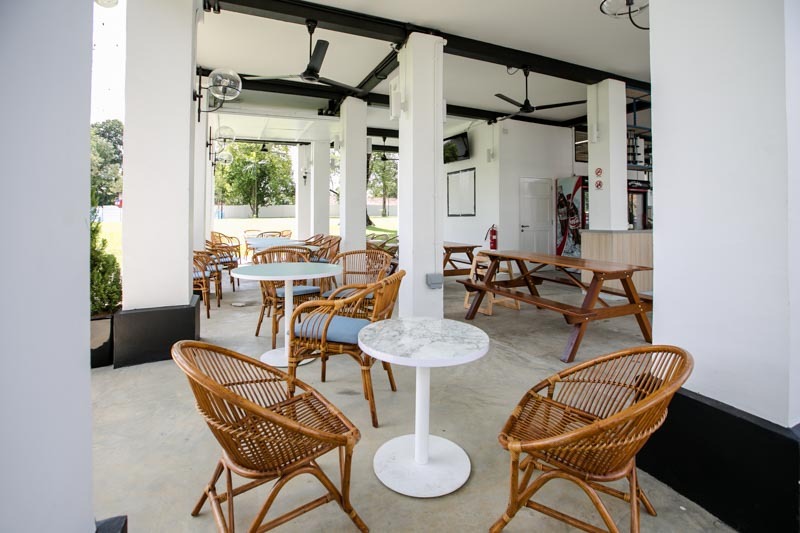 The latest hip and happening spot in Singapore is finally open for business. 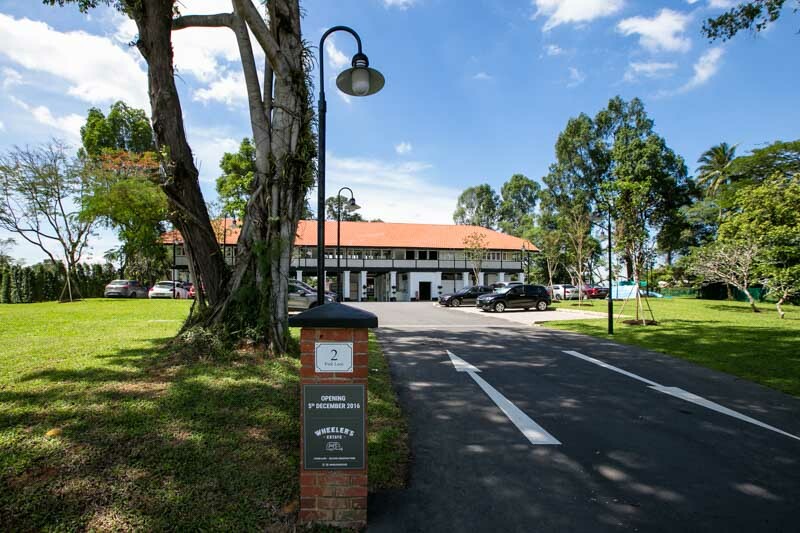 Completed in December 2016, The [email protected] Aerospace Park occupies 11 hectares of land and has since housed four F&B establishments in old school black and white colonial bungalows. One of such is Wheeler’s Estate, an upmarket version of Wheeler’s Yard, situated along 2 Park Lane. 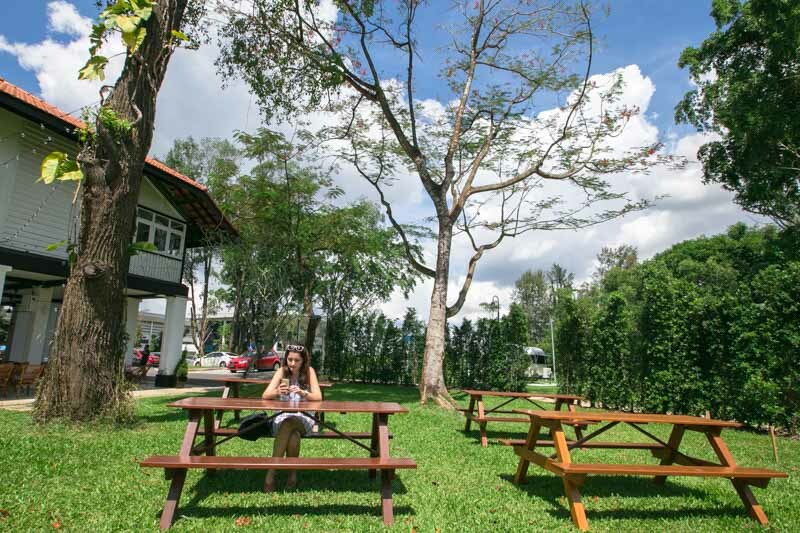 The place may seem ulu, but it’s not too difficult to locate and is accessible by public transport. 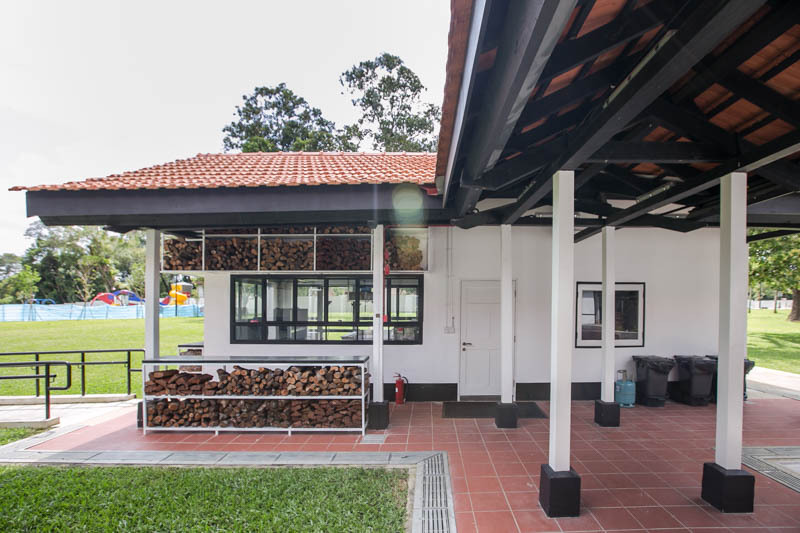 At a restoration and renovation cost of S$2.5 million, the two-storey bungalow sits pretty, housing a cafe and grill house on the first floor and a 150-seater verandah restaurant serving fusion cuisine on the second floor. 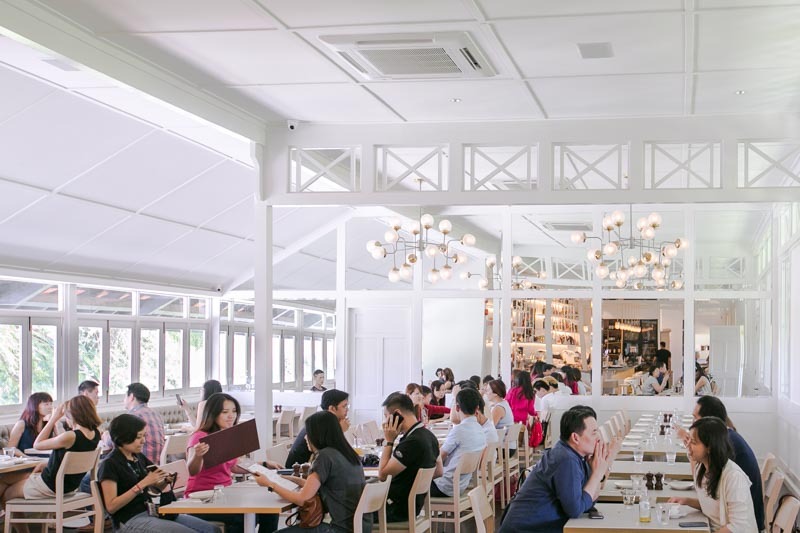 Diners can either opt for indoor air-conditioned seating upstairs or outdoor seating on the ground floor. Our advice would be to decide based on the weather that day. We opted for a seat upstairs as the afternoon heat was pretty unbearable. While there were ceiling fans on the ground floor, we don’t think that would have helped much. That being said, the impeccable view might change some of your minds. 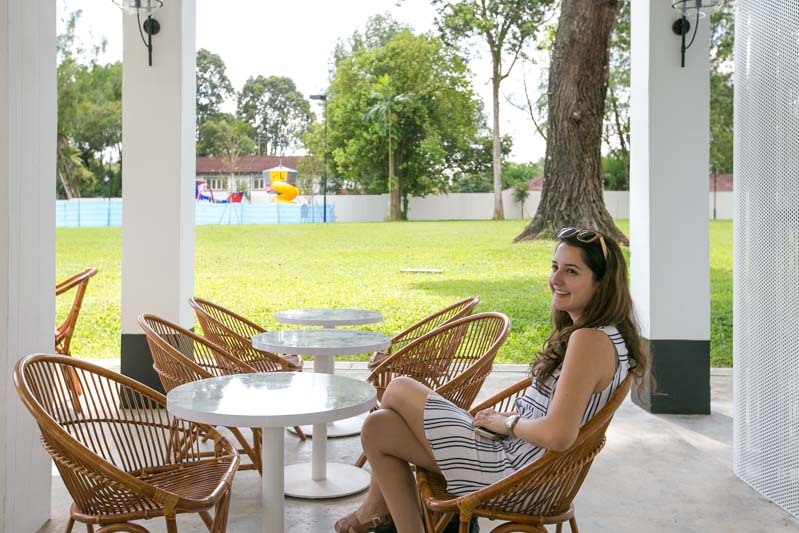 The wooden benches and rattan chairs give off a nostalgic kampong charm that might just be worth bearing the heat for. We were received by the restaurant staff and led up to the dining area on the second floor. Did we mention how photo-worthy the corridors look? Don’t be too eager to take your seat before exploring a little first. The interior of the restaurant has a rather minimalistic feel and a very clean look with high white ceilings and walls. The furniture is kept to a simple grey and beige to complement the look. 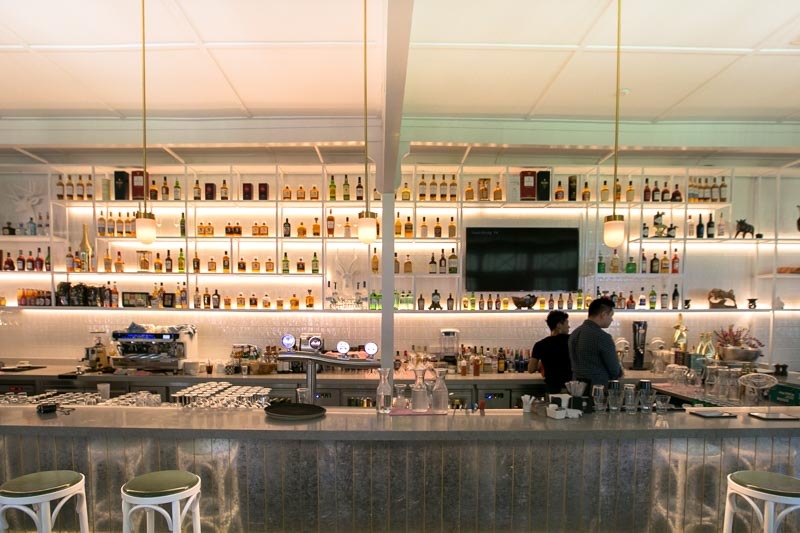 Wheeler’s Estate sports a nine-metre bar counter that is hoping to draw the crowds in, even if only for one drink. We weren’t too excited about the limited cocktail options that were available on the drinks menu though. 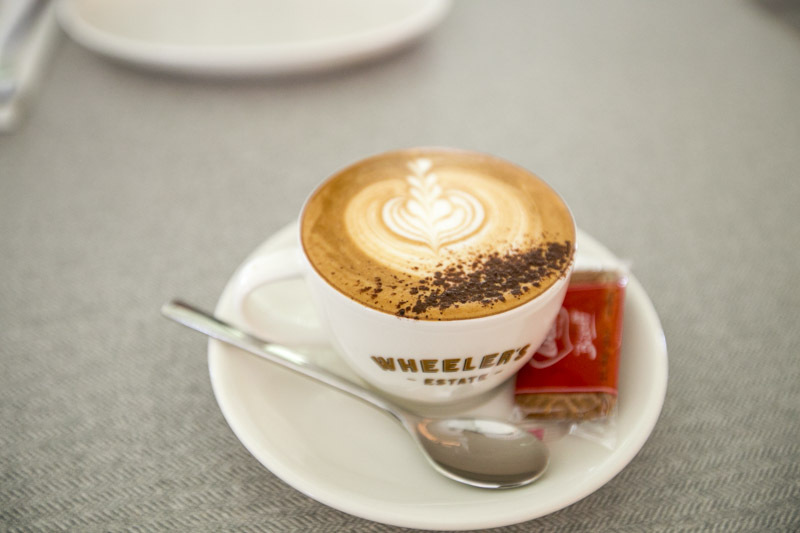 We opted for a simple coffee in the end and our Cappuccino ($5 – Hot, $5.80 – Cold) was decent and not overly acidic. The micro-foam was not too thin and complemented the espresso really well. Wheeler’s Estate offers both a breakfast/brunch menu as well as a main menu for lunch and dinner. Sadly, we were too late for brunch and had to pick from the main menu instead. To start our meal off, we ordered the Grilled Octopus ($22). 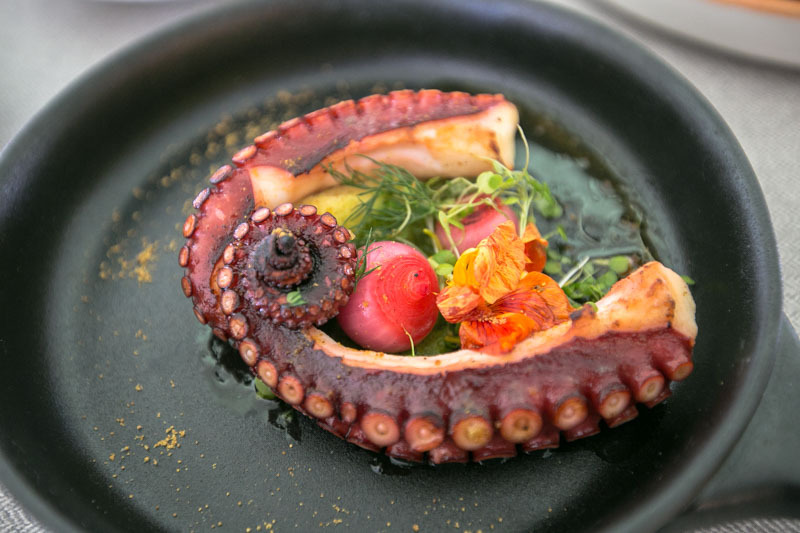 You can tell that emphasis is put into the plating as the dish draws you in with the bright colours contrasting against the dull purple of the octopus tentacles. The tentacles were rather thick and we were half expecting it to have a rubbery texture. Unfortunately, it was pretty overcooked, which was a letdown given the price and quantity. We would suggest ordering this only if you prefer your octopus to have a more chewy bite to it. On the plus side, we enjoyed the flavours of the dish, with the nuttiness and oils from the almond skordalia, heat from the green harissa and saltiness from the bottarga. The red pickled onions helped to give some sweetness and sourness to enhance the natural flavours of the octopus as well. 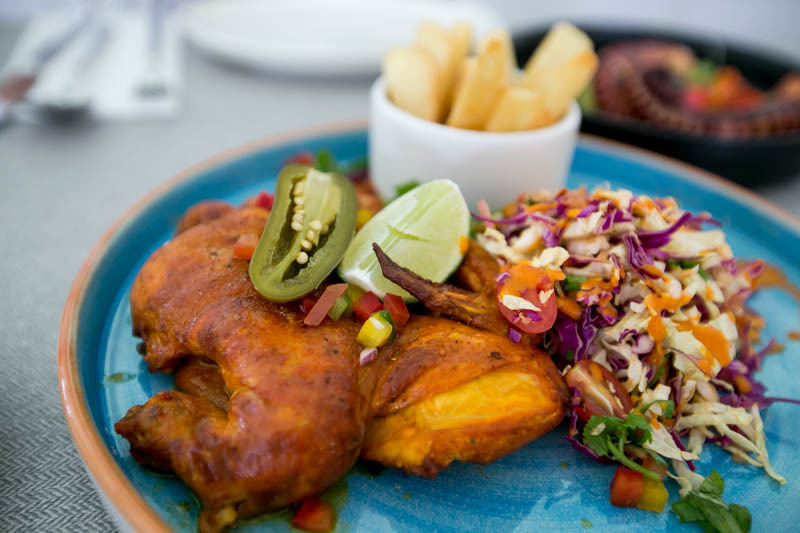 For our main, we decided to go for the Peruvian BBQ Style Chicken ($36) which was indicated as a serving for two people on the menu. When the chicken arrived, we were taken aback by how small it was. This could certainly pass off as a portion for one moderately hungry person. The chicken itself was also quite a letdown. We could taste the flavours of the marinade but felt that it failed to penetrate through to the meat. The breast meat was also pretty dry as well, something you don’t want happening with a chicken dish this pricey. Left wanting more, we thought we might as well have gotten our money’s worth at Nandos instead. Our advice? Skip this and order something else. After a rather disappointing lunch, the saving grace was the scenic surroundings which definitely made for Instagram-worthy photos. 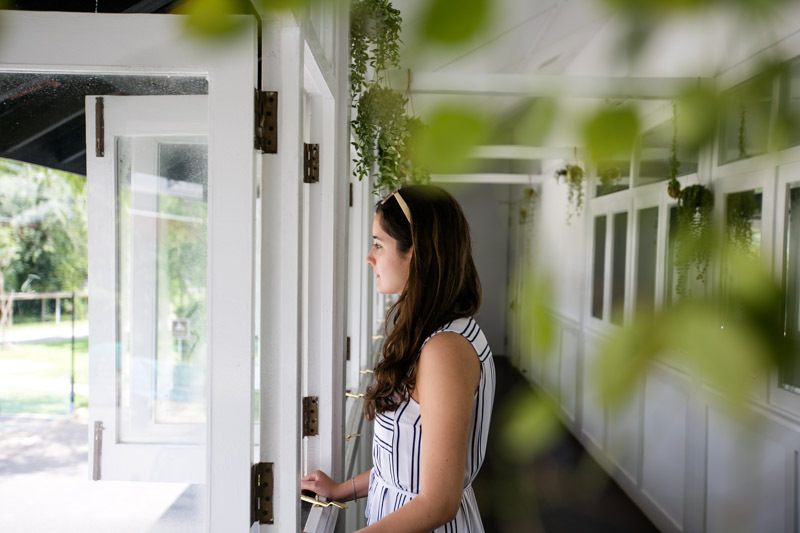 It was a very underwhelming experience for us at Wheeler’s Estate. Given how the food is priced here, we certainly expected better standards in the dishes, and not just a focus on serving nicely plated food. Thankfully the sights around the area more than made up for it. 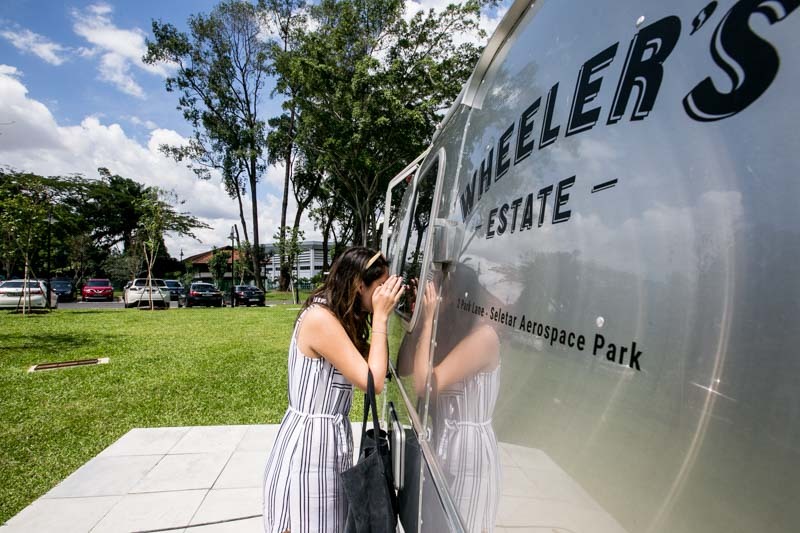 While the restaurant is still in its early stages, we hope that the team behind Wheeler’s Estate will reconsider their menu and pricing so as not to disappoint customers who make the trip down to eat there. We’re not ruling out the brunch menu just yet though, and will definitely be making a separate trip down to try it.